February 28, 1939 -- The Chicago Daily Tribune reports that owner P. K. Wrigley has taken matters into his own hands "in moving the spring flair of Diz (Dizzy Dean) as problem child." When Wrigley's personal representative came upon the Cub pitcher "pitching full blast at the full pitching distance [he] broke up the display in the name of the Cub owner, following full instructions from the Chicago throne room." 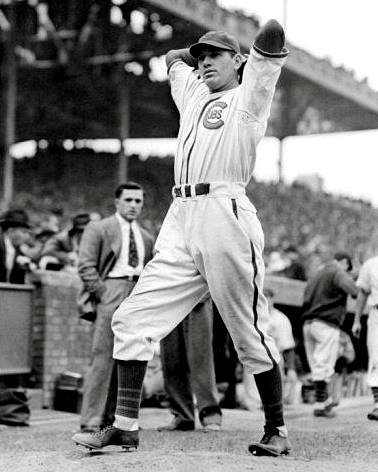 Dean, a pitching phenom for the St. Louis Cardinals between 1933 and 1937, was injured by a line drive in the 1937 All-Star game. In 1938 Wrigley paid $185,000 to put the compromised pitcher on the Cubs roster. In September of that year, in what he called the greatest game of his career, Dean pitched the second game of a series with the Pittsburgh Pirates, winning 2-1, pulling the Cubs within a half-game of the league leading Pirates, a team from which the Cubs would wrest the National League championship the next day. Dean pitched Game Two of the World Series, pitching admirably until he gave up a two-run homer to Joe DiMaggio in the top of the ninth, ultimately losing 6-3. 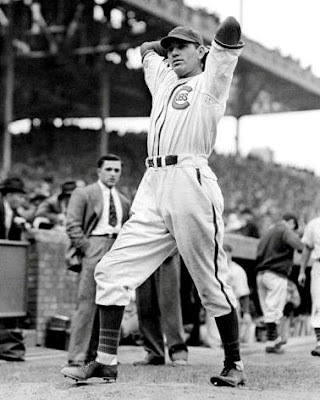 He struggled along with the Cubs until 1941 when he retired. Wrigley's interest in protecting his investment was certainly understandable, but ultimately it would not matter.